ROME (AP) — An Italian-flagged rescue ship set sail Thursday for the deadly migrant smuggling route in the central Mediterranean Sea, challenging moves by Italy’s populist government to shut down such humanitarian operations. The Mare Jonio, a former tug boat, left from the Sicilian port of Augusta. The Mediterranea humanitarian group bought and equipped the 37-meter (120-foot) long ship and has started a crowd-funding initiative. “Our mission is to be present: Present at sea to monitor, to witness, to report the dramatic situation that every day women, men and children risk to cross the Mediterranean Sea,” said Ada Talarico, a Mediterranea spokeswoman. Another rescue group, SeaWatch, is among those supporting the operation. Italy’s hard-line Interior Minister Matteo Salvini has refused to allow non-Italian rescue ships to dock in Italy with migrants they have rescued at sea. 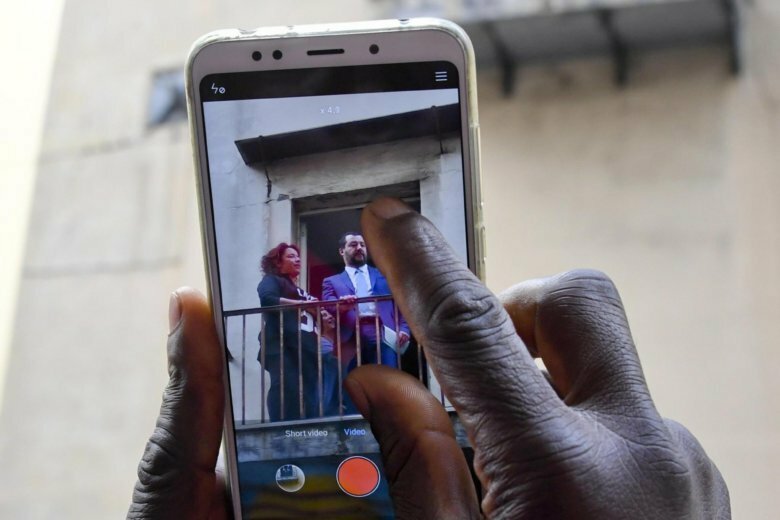 Salvini, whose League party came to power on an anti-migrant platform, has mounted a crackdown against aid groups that for years rescued thousands of migrants fleeing Libya aboard unseaworthy smugglers’ boats. Earlier this year, he forbade aid groups from docking in Italy, forcing other Mediterranean countries to take them in and effectively halting their activities. According to the International Organization for Migration, some 82,100 migrants have made it across the Mediterranean Sea to Europe this year, and another 1,741 have died in the attempt.